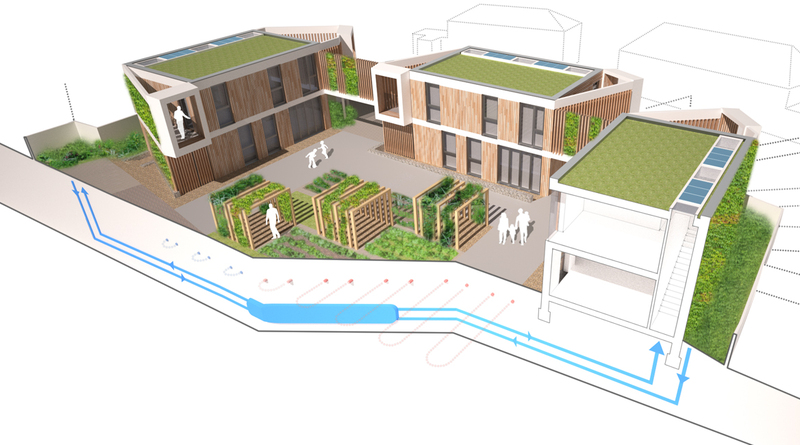 This project creates an inward looking, sustainable courtyard community of affordable homes for a ‘land-locked’ infill site in Brighton. The site is arranged in concentric bands. 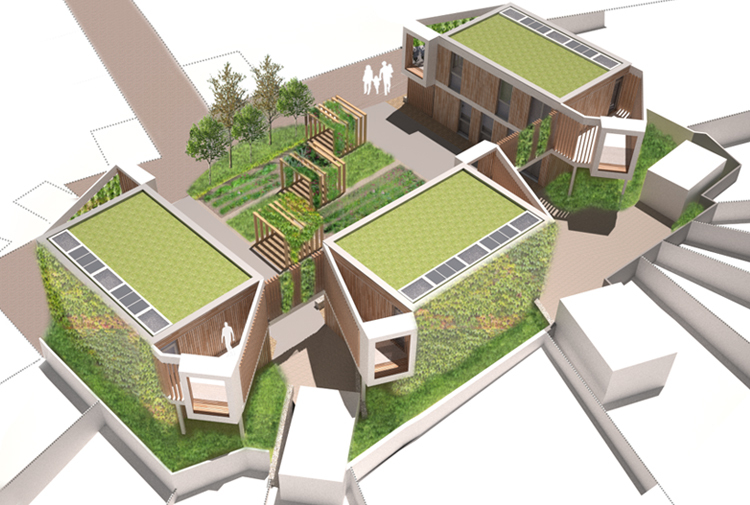 At the heart of the scheme is the communal productive allotment garden, along with residents parking. 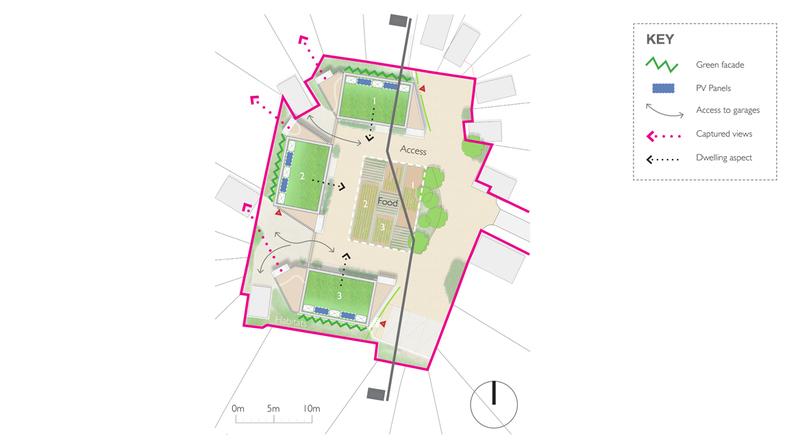 This space is defined by the band of houses themselves, with habitat spaces to the periphery. It has been important to treat neighbouring properties with sensitivity. 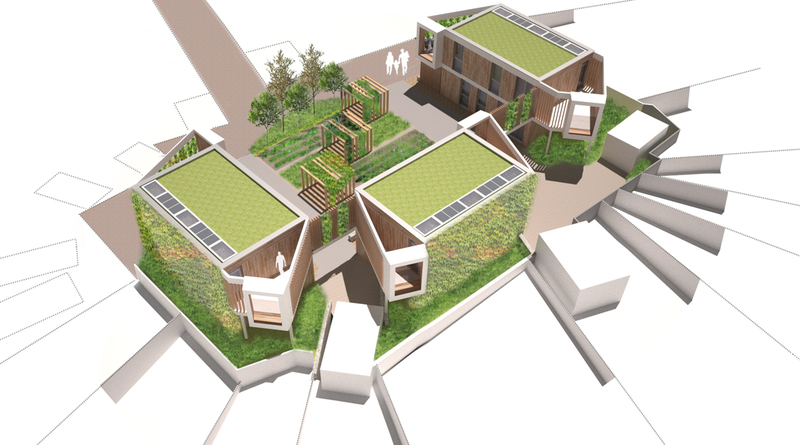 Green roofs and climbing plants cover outward facing facades, creating a ‘green screen’ to the new dwellings. The houses have an external terrace have a ‘lens’ feature to capture distant view of the South Downs without impacting on the privacy of existing neighbours. The dwellings are well-detailed box forms with a high level of airtightness achieved by using CLT (Cross Laminated Timber) construction.